Belize was my first foray in Central America, and after a month of travel in North America it was good to be back in the tropics and visiting a new country. To get to Caye Caulker I had to go via Belize City. Everyone I’ve meet who has ever been to Belize City told me not to go to Belize City. That is the worst thing you can tell me, as I am strangely compelled to go to cities that people tell me not to go to. I have been to a number of places that I have liked that people have told me I wouldn’t like, and not just out of spite. 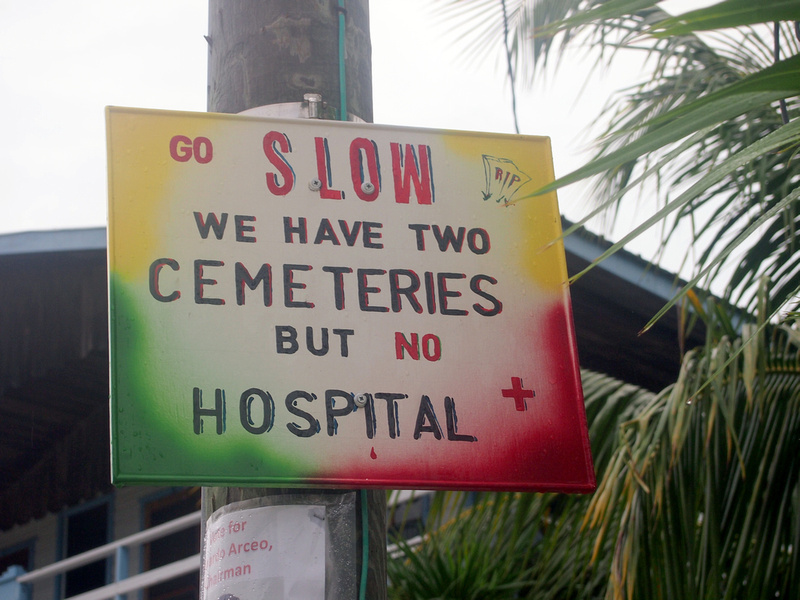 Belize City wasn’t one of those, and I will have to blog about it another time. 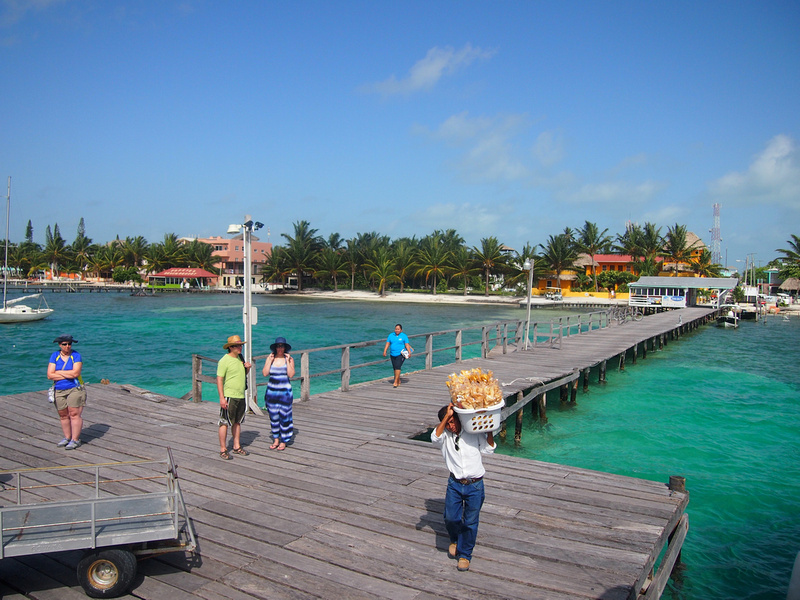 A water taxi from Belize City takes about an hour, and I could tell as soon as I arrived that I would like this place. I didn’t book accommodation before I arrived as I found that the cheaper places aren’t online ad after a short walk I found a decent enough room for $25USD per night. Once I had secured a place to stay I took a familiarisation walk around the island, which I soon found out that that doesn’t take long. The island is filled with charming little wooden houses, many of which are painted in bright colours that suit the tropical vibe of the island. There are no cars on the island either (apart from a few service vehicles and golf carts) which made for an extreme change of pace to what I had become used to in Saigon. It didn’t take long before I started feeling that I was on an actual holiday. Yes, this is a tropical island paradise that has no beach. I knew that before I got here, but I have read online where some backpackers have turned up only to be surprised to find no beach. 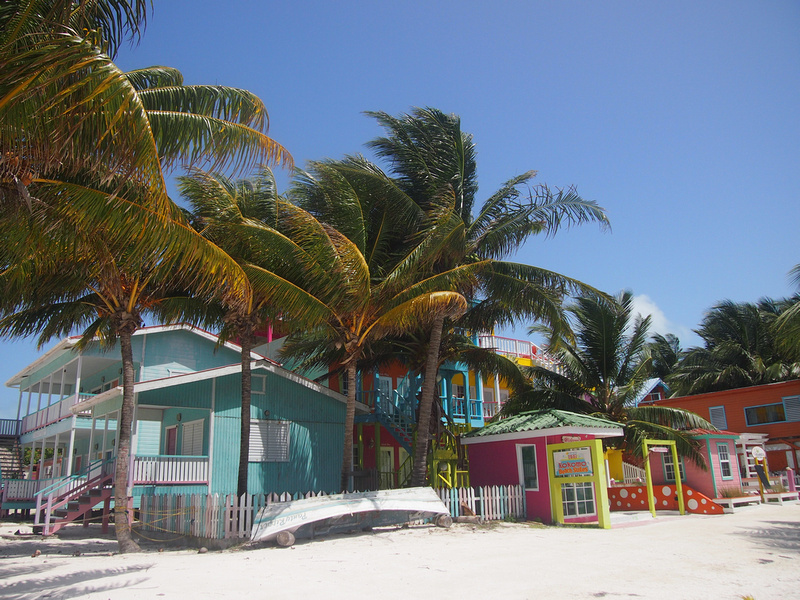 As the name would suggest, Caye Caulker is a Cay (or Key): an island formed from a coral reef. There are the occasional sandy patches, but you won’t be going on long walks along the beach here. There is a little strip of sand at the Split which has the biggest beach scene on the island. This is at the narrow waterway that divides the island in two, and on sunny days you will see backpackers lounging around here, making the most of the little patch of sand. 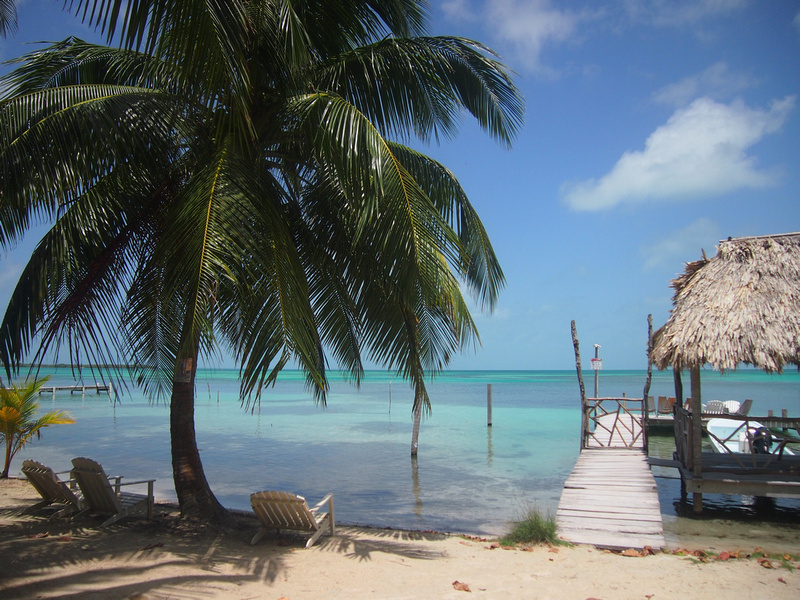 What Caye Caulker lacks in the beach department it makes up for with diving. There are all sorts of diving options available so I opted for a half day snorkel trip just before the storms arrived. I didn’t know it at the time, but here you can dive/snorkel with nurse sharks and sting rays. Off the coast of Belize is an area known as Shark-Ray Alley. Our boat pulled up at a known nurse shark spot, and next thing you know the water was swarming with them, as well as some sting rays. Our guide jumped in the water and got all cuddly with a ray. He offered us a chance for a cuddle, but as an Australian I have an inbuilt aversion to getting intimate with sting rays. I did get in the water though to observe the nurse sharks. They say that these sharks don’t bite, but it didn’t help that I had recently read The Black Swan . – There is no beach. 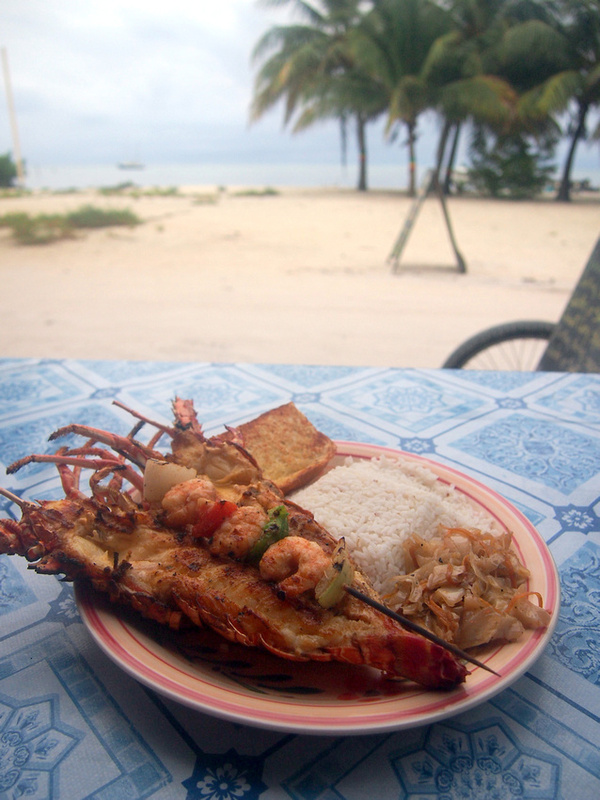 – You can get a lobster dinner for $10USD. While it is a good deal, I preferred the BBQ lunch stands that spring up along the “beach” at lunch time. A mighty piece of jerk chicken, rice and salad can be had for $5. I enjoyed the few days that I had here, even if it rained for most of the time. I could probably spend a week or two there but any longer and I would definitely start getting island fever. I’m more of a city person though, so that is not a surprise. If you love diving you may never want to leave as Caye Caulker is an ideal launching pad for diving the Belize Barrier Reef. If you are looking for a place to be a diving instructor then this might be your paradise. For me, the few days there was just enough time to slow down and relax before moving onto my next destination. 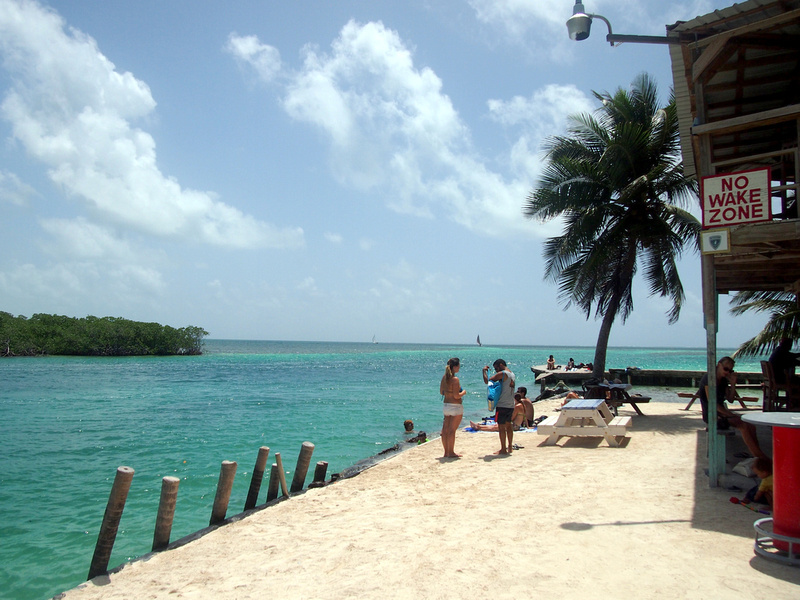 For more travel resources visit the Caye Caulker travel guide. Loved the diving there. So much marine life. You’re right about the BBQ’s around the island. Nearly every establishment had one out the front. Wow wonderful photography here! Beautiful post. Beautiful sights! So colorful. I lived on a small tropical island for almost three years (Efate in Vanuatu) and loved it. Of course it was good to get back to all the benefits of city living when we returned to the US, but island living was fun while it lasted. SOunds like a wonderful life experience. Man those photos took me back! I visited Caye Caulker a few years ago and had a great time, though after about three days I started to get island fever. It certainly didn’t take long to explore this little island (I even checked out the “industrial” zone) but it’s a great place to spend a little time. The cheap lobster certainly doesn’t hurt either! I have been to Belize City twice, I do not like the place at all! Of all the places in the world to go to, this place is last on my list. wasted junk! Agreed Brian! Best to get out of Belize City ASAP! Having snapper for dinner is usually a better option. Cheap and delicious. Yes, the lobster was definitely a one off – snapper sounds delicious!